Over the past few months, seven outstanding Ph.D.’s from around the country have come to Vanderbilt to pursue postdoctoral training with an eye toward academic careers. 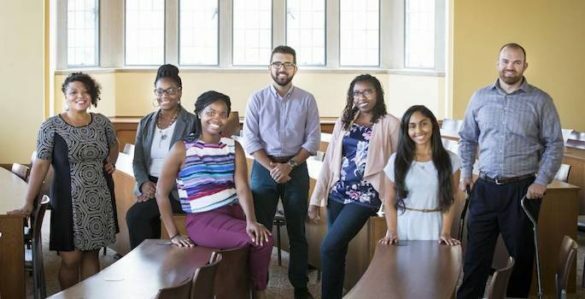 They’re the first cohort of fellows in the Academic Pathways program, a new Vanderbilt initiative developed to serve as a bridge between academic training and entry-level faculty positions with a particular emphasis on scholars with diverse backgrounds and experiences. In addition to a traditional postdoctoral research experience, the Academic Pathways program provides fellows with professional development training, enabling them to develop the soft skills important for success in today’s academic setting, as well as a robust mentoring framework. 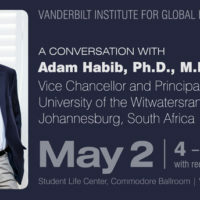 I couldn’t be more pleased to welcome such an exceptional group of scholars to Vanderbilt. For some in this cohort, academia is a second career, or at least a course change driven by a passion for research. Others were inspired to become educators following an encounter with a role model or mentor. For all of them, this fellowship represents an opportunity to perform advanced research with some of the best scholars in the world, and then share what they’ve learned with the next generation. Six fellows are working with faculty in the College of Arts and Sciences, the School of Engineering, the School of Medicine and Vanderbilt University Medical Center, while a seventh was appointed at Fisk University, a partner school on the NSF Alliances for Graduate Education and the Professoriate (AGEP) grant that supports part of the Academic Pathways program. Lillian Brady has joined the lab of Heidi Hamm, who holds the Aileen M. Lange and Annie Mary Lyle Chair in the Department of Pharmacology. There, she’s investigating the physiological, biochemical and molecular mechanisms underlying the modulation of synaptic transmission by inhibitory G-protein-coupled receptors in the hippocampus—or in lay terms, how this component of neuronal activity affects the release of neurotransmitters. This foundational research will ultimately inform future studies of neurological processes like pain perception and stress. Though she always enjoyed science, Brady assumed she would go on to be a medical doctor, because that was the only science-related career she had been exposed to or encouraged to pursue. At the time, undergraduates at her alma mater, Alcorn State University, did not have many opportunities to do research on campus. But when she stayed on at Alcorn for a new master’s program in biotechnology to boost her chances of being accepted to medical school, she realized research was the right path for her. That led her to a Ph.D. in neurobiology at the University of Alabama-Birmingham, which led her to a moment of serendipity during her poster presentation at a meeting of the Society for Neuroscience. Hamm approached Brady to discuss her work, and though Brady normally was not comfortable in networking environments, decided to ask her on the spot if she needed a postdoc. “She told me about the Academic Pathways program, we looked it up on her phone at the conference, and when I got home I filled out the application,” Brady said. Brady’s undergraduate experience at Alcorn strongly influenced her decision to pursue an academic career. “I want to give back to students like myself early on, and be a representative of another career option in STEM that they may not have been exposed to,” she said. Kyndra Cleveland, who earned a Ph.D. in developmental psychology from the University of California, Irvine, specializes in psychology and law. Cleveland is working with Judy Garber, Cornelius Vanderbilt Professor and professor of psychology and human development, and Jennifer Trueblood, assistant professor of psychology. 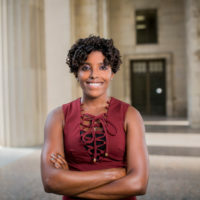 While working at a law firm during her undergraduate studies, Cleveland realized she was particularly interested in studying the attitudes and perceptions of individuals involved in legal systems. Currently, Cleveland’s research focuses on parents whose children have been removed from their homes due to abuse or neglect. “Very little work has examined parents’ experiences, yet it is critical to incorporate the perspectives of the entire family in juvenile dependency research to ultimately serve children’s best interests,” she said. As part of her dissertation research, she established a baseline measurement of how well parents understand the juvenile dependency system and how fair they believe it to be. In her time at Vanderbilt, she would like to extend this work by examining parents’ motivation and engagement with the dependency system by employing a strengths-based framework. “For example, what psychological and social strengths, such as commitment or social support, facilitate parents’ engagement with court-ordered services, and can the development of these strengths increase parents’ likelihood of reunifying with their children,” she said. Cleveland says she sought out the Academic Pathways program to pursue an independent line of research while taking advantage of the interdisciplinary training and professional development opportunities available at Vanderbilt. “I thoroughly enjoy conducting psycho-legal research with real world implications, disseminating findings to the community, and mentoring students,” she said. 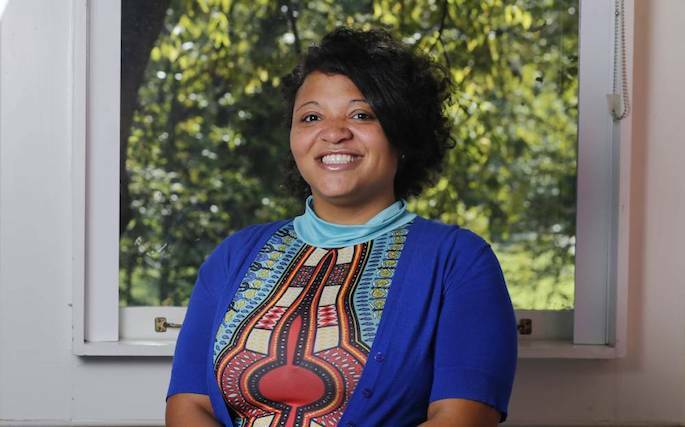 Joy Garnett earned a Ph.D. in materials science from Vanderbilt. 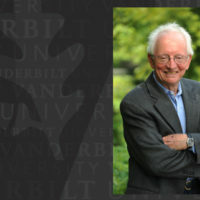 Garnett works at Fisk University, which partners with Vanderbilt on the NSF AGEP grant that is funding a pilot portion of the Academic Pathways program, with Arnold Burger, professor of physics. Garnett studies scintillators, a type of crystal that lights up when exposed to nuclear particles like alpha rays and gamma particles, thereby functioning as a radiation detector. They’re used in medical imaging, TSA screening and other applications. The experience inspired her to seek out as many opportunities to pursue engineering research—and meet as many women engineers—as she could find. By the time she graduated from college, an academic career was a natural extension of what she’d already fallen in love with. “I really like research,” she said. “I love the exploratory nature of it, and finding something nobody else has seen.” Likewise, Garnett treasures the influence her mentors played in her life, and she is eager to pay it forward to other young students. Diego Mesa earned a Ph.D. in bioengineering from the University of California, San Diego. 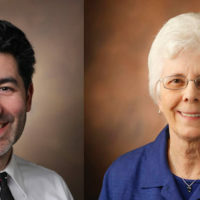 Mesa will work with Tom Lasko, assistant professor of biomedical informatics, and Eugene Vorobeychik, assistant professor of computer science and computer engineering. Mesa is using applied probability and information theory to develop a clinical decision-support framework for health care providers to determine, for example, the optimal time to give a medical test to gather the most useful information from it. “The long-term goal is to cut down on the number of tests a patient has to take, by making sure each test is as informative as possible,” Mesa said. A computer engineering major in college, Mesa always planned to find a high-paying tech job until he happened to see a posting for a research assistant that paid more than his current job at Subway. After that, he was hooked. 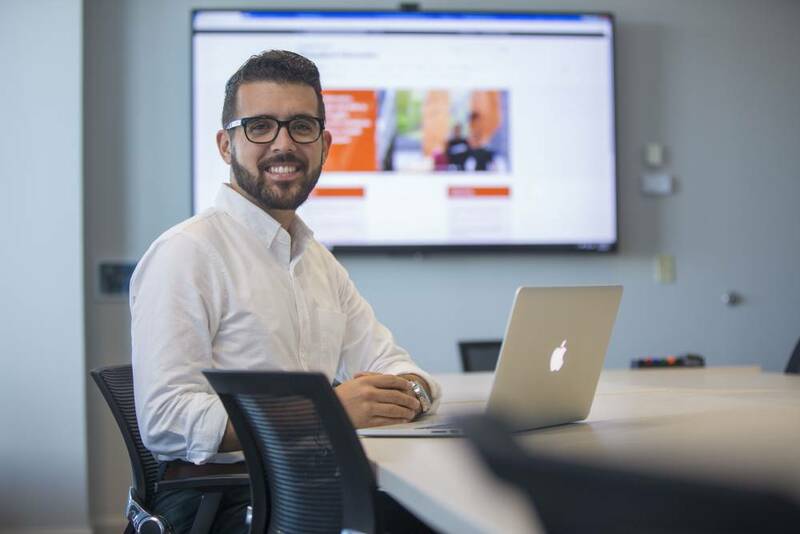 He sought out the Academic Pathways fellowship because he wanted some protected time to pursue research that wasn’t already tied to an existing grant, and he was attracted to the close proximity of the School of Medicine and the robust professional development opportunities available to Academic Pathways fellows. “It was the perfect fit for my future career goals,” he said. 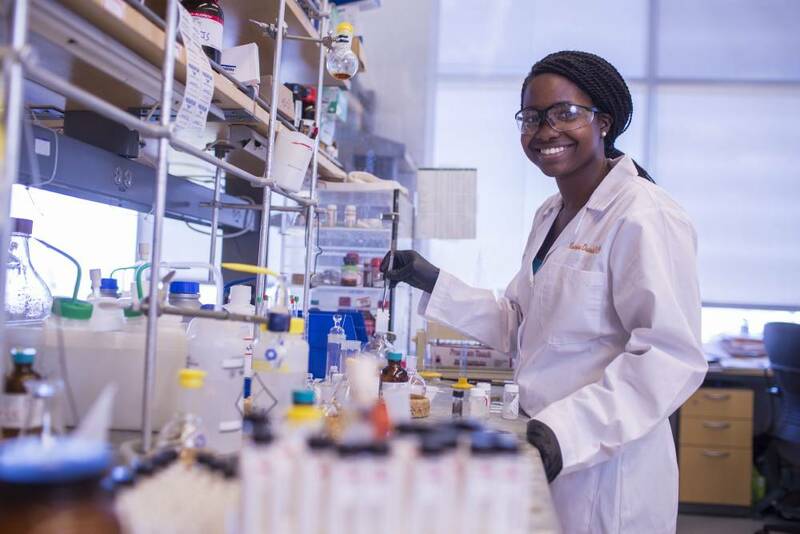 Rashanique Quarels earned a Ph.D. in chemistry from Louisiana State University and has joined the lab of Jeffrey Johnston, the Stevenson Professor of Chemistry. 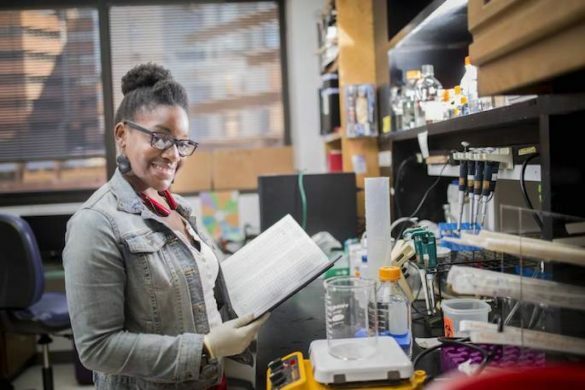 At Vanderbilt, she’ll be working on the total synthesis of feglymycin, an organic compound derived from the streptomyces bacteria that has anti-HIV properties. Quarels’ goal is to synthesize feglymycin in larger quantities so it can be produced more efficiently. 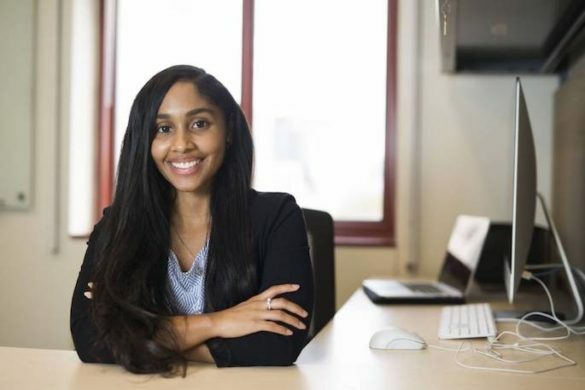 Quarels’ road to the lab began at age 15, when she first met Ella Kelley, an African American woman chemist at Southern University in Louisiana, who directed the ACT prep program Quarels was taking and who would later become Quarels’ mentor in college. It was Kelley who spotted Quarels’ clear talent for chemistry and who encouraged her to major in the subject, gave Quarels her first opportunity to teach and ultimately convinced her to apply for a Ph.D. program instead of pharmacy school. “She said I wouldn’t be satisfied, because I’d be doing the same thing every day instead of using my God-given talents and doing research and impacting lives with my teaching,” she said. When she got to LSU, her mentor there, Justin Ragains, was so thrilled to finally have a student who wanted to become a professor rather than go into industry that he sought out more teaching responsibilities for her, including assisting him with the high school science program he ran in the summers. “He wanted to make sure that I was sure about teaching,” she said. Monica Ridgeway earned a Ph.D. in curriculum and instruction and the science of learning from the University of Buffalo. Ridgeway is a former educator who has seen firsthand the educational disparities that marginalized children of color face. 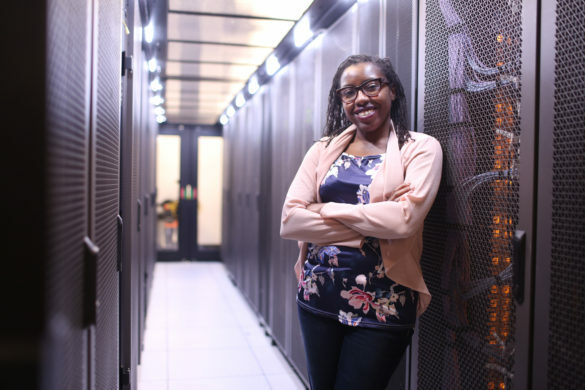 During her time at Vanderbilt, she aims to illuminate similar issues among underrepresented graduate students and faculty in engineering and computing disciplines. Ridgeway is currently focused on two projects—analyzing the support systems of women engineering professors of color, and analyzing the unique experiences and perspectives that African American computing and engineering professors offer the academy that may not be formally recognized by their institution, such as increased mentoring of underrepresented students or higher levels of service on faculty committees to ensure adequate representation. Ridgeway sought out the Academic Pathways program because she craved the opportunity to do more research. “I felt this was the best opportunity to not only prepare me for the professoriate, but to give me an opportunity to learn additional research methodologies while also benefiting from really good mentorship,” she said. Dean Stolworthy earned a masters and doctorate in mechanical engineering with an emphasis on biomechanics from Brigham Young University. 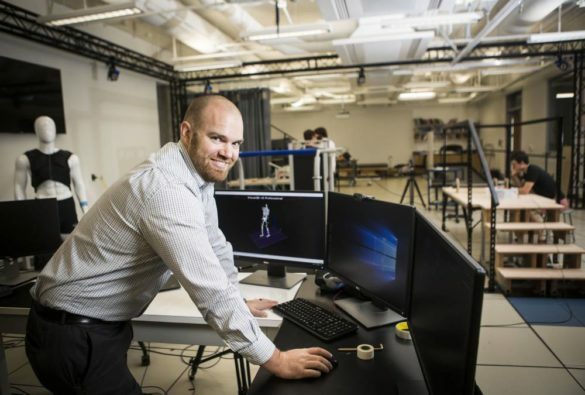 At Vanderbilt, he is working with Karl Zelik, assistant professor of mechanical engineering, and Michael Goldfarb, the H. Fort Flowers Professor of Mechanical Engineering, on new alternatives for lower back surgery and injury-prevention supports for people with low back pain. Growing up in Las Vegas, Stolworthy was actively involved in sports and enjoyed working with his hands, including working in home construction and auto mechanics. 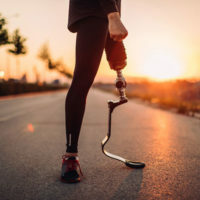 He had planned to study mechanical or aerospace engineering until he sustained a paralyzing spinal cord injury at age 17 and was introduced to the possibilities of studying medicine. After years of physical therapy, Stolworthy now walks with two canes and says he has a deep respect for the body’s remarkable ability to heal itself. As a graduate student, he focused on low back pain and surgical spinal implants, but that work convinced him that surgery wasn’t always the answer. “Low back pain is most often a mechanical problem, and mechanical assistance could be used for prevention or treatment,” he said.